Could this possibly be the perfection of modern trance? In the trance community, there are so many artists out there and countless new releases every year, listeners can end up being bogged down with too many dull tunes and just becoming flat-out bored. I know I've felt that way sometimes; trance overflow can often bring tedium, and the genre itself gets to the point where it simply feels tired and uninteresting. But when an album like "Tri-State" comes around, it makes me realize exactly why I began listening to this type of music in the first place. It is as though the entire genre is refreshed anew, delivering a new sense of hope and promise to a formerly faltering musical style. I'm not going to beat around the bush; I'm just going to come out and say it: "Tri-State" is one of the best trance releases I have had the pleasure of listening to -- period. Created by Above & Beyond, the trio behind other famous trance acts (particularly the ever-applauded OceanLab), this album shows the power of the three folks from the U.K. (Jonathan Grant, Paavo Siljamäki, and Tony McGuinness), having only truly proven themselves with a couple of singles (as themselves and under a few aliases) and remixes for famous artists such as Madonna and Britney Spears. Already having received a surprising amount of critical acclaim from popular dance magazines and websites alike, Above & Beyond are a force to be reckoned with, "Tri-State" having been hailed as easily the best trance record of 2006. Such positive reviews certainly feel warranted, as this record serves as a breath of fresh air, a continuous mix of uplifting tunes, no two sounding quite alike yet all fitting together like a musical puzzle of sorts! Introduced by the title track (Tri-State, of course), we are treated to a symphonic state of affairs that sets the tone for the entire album. Beginning with a distant piano, the tune eventually leading into synth-strings that evoke a soft winter-like emotion from the listener as the piano soon presents itself in the foreground. When I heard this introductory track, I immediately knew I was in for something big. Stealing Time might be what one would label a typical Above & Beyond track. Featuring vocals by Richard Bedford, it is a fine vocal trance tune through and through, guided by a simple beat and a variety of rough and smooth synth sounds like, including further use of symphonic strings (synthetic by nature, as always). The vocals themselves are catchy as well; it is often difficult to have male vocals match a trance tune, as they are dominantly performed by women (so as to suit the dreamy nature of trance music), but there is no doubt that the work of Bedford is suitable here. As "Stealing Time" flows away, the soothing sound of waves mix with soft pads and a mysterious siren in the distance, only to soon be forced upon us in full force with a stylish bassline and an enchanting simplistic melody in World On Fire. Later on, an edited (or perhaps even mangled) female voice is brushed over top of the already lustrous aural journey. These two tracks actually feel as though they are connected somehow, yet they are quite different. The first single from the album (and the next track on the album), Air For Life, was a project alongside Andy Moor, one half of the trance duo Leama & Moor. This song takes a harder stance on trance, pumping out a rougher bass synth throughout the tune but still managing to maintain an infectious melodic overtone. Heavenly string pads also help keep the Above & Beyond vibe alive during the track's run. This one's not to be missed! Can't Sleep is another popular track from the album: a more minimal approach to vocal trance featuring the vocals of Ashley Tomberlin, vocalist of Luminary, who sings of her constant thoughts of a faraway love. The focus is much more upon the voice than the instrumentation which seems to work out well in this case. Plucky synths serve their purpose for an additional melody, although it mainly lies within the vocal framework. This is a much more chilled-out affair, although the vinyl-based remixes are sure to cause a dancefloor frenzy on occasion. A good follow-up to "Can't Sleep" is an emotional dance track simply titled Hope, which bases itself heavily upon its effective pairing of piano chording and a sweeping symphonic pad (as always) over a quick dancin' beat for the dancin' feet. Later in the track, some tribal chanting is added to bring body to an already full-bodied experience, and it works well without overwhelming any of the initial instrumentation. Yet the theme of love will not yet dissipate with the next song, Liquid Love, which follows a similar style of arrangement as "Stealing Time" (and consequently features the vocals of Richard Bedford again), adding harsher synths but still maintaining that soft Above & Beyond edge. If you enjoyed "Stealing Time", you should have no problem embracing this vocal trance doozy. This song fades into the next one, In The Past, which is a melancholy piano and pad combination that serves not to cause any dance movements, but to make the listener feel and perhaps even cry if they are not in the happiest frame of mind. This is a welcome change at this point in the album from the usual smooth beats that we have been treated to so far. The beats are not over yet, however, as Alone Tonight takes us to new heights. This was another popular single from the album and again features Richard Bedford on vocals. The lyrics here are much more cryptic but the title of the song should give a general idea of the subject matter. Angelic pads and a stiff bassline coat the track well, leading to some fine melodic moments alongside the vocals during the refrain as a primary synth enters the arena. All in all, this is indeed a promising track, typical of what to expect from the trio, and still holding the high quality standards one would come to expect during the listen-through of the album. Then we are led to another chill-out moment with Good For Me, a track featuring Zoë Johnston as she sings of the comforts of her lover. There is nothing powerful or ear-rocking to be found, and that's where the beauty is found. The simplicity of the sounds and the vocals brings about a prominent sense of nature and honesty in it all; a refreshing tune like this deserves much praise. It later became a single in its own right, receiving a variety of more club-oriented remixes, including one by the band themselves. It was given the prestigious title of "Tune Of The Year" on the popular "A State Of Trance" radio show, hosted by world-famous DJ Armin Van Buuren. And with good reason! Debuting with a more guitar-oriented Ibiza feel, For All I Care is a rougher affair synth-wise, but still is a smooth chunk of vocal trance featuring Tony McGuinness, one of the members of Above & Beyond, on vocal duty (sounding slightly like something ripped out of a soft rock tune, to be honest). Following the previous examples of "Stealing Time" and "Alone Tonight" and adding the guitar edge makes this tune also stand out instead of feeling like a repeat of previous vocal trance numbers on the album. But what caught my ear is the next song, Indonesia, which relies on a distant reverberating chiming synth and a repeating ominous melody that keeps building upon itself over a simple but effective beat. This is the track that may require multiple listens to "get it": "Indonesia" is a straightforward track at first, but its intricacies can only be discovered after several plays. This has grown on me to become one of my favourite tracks on the album. Rounding out the tracklist is Home, where we are arriving after this enjoyable trip through a world of trance. Hannah Thomas delivers a beautiful performance as her vocals ride well over the symphonic strings we have come to truly appreciate over the course of the album. Appropriate (and welcomed) use of piano enters intermittently throughout the piece, contributing even more character to an already heartwarming track. The song is endearing and ends with a minor crescendo of orchestral sound: pure class. It is so rare that an album treats me to such an amazing set of enchanting songs without feeling repetitive or dull by the end of it all. 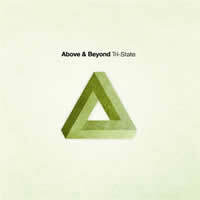 This album defines sophisticated trance music, showing the rest of the world just how it should be approached. I am not impressed by many albums, but to be blown away by one is a clear indication of the power, emotion, and sheer excellence "Tri-State" possesses. Thus, after a little bit of personal debate, I have come to the conclusion that this album deserves a perfect score, even if I didn't give each individual track the same grade; as a collective work, the album is better than the sum of its parts, even though all parts are equally inspiring. If you find it, get it; your decision will be without regret.